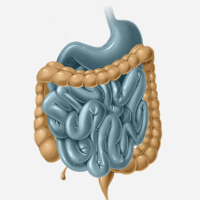 You knew that gut flora could affect your weight. You knew that sleep deprivation and circadian disruption could affect your gut flora. But did you know that your gut flora can affect your circadian clock, which can affect your metabolism and your weight? And that dietary changes can control those shifts in gut flora? Circadian rhythms, gut flora, metabolism, and weight: they’re all interconnected, and what happens to one of them affects all the others. Here’s a look. Circadian rhythms are the 24-hour cycle of hormones that keeps you feeling awake in the morning and during the day, and then sleepier in the evening. If your circadian rhythms are thrown off, you might feel exhausted in the morning but wide awake at night, or tired all day but unable to fall asleep when you finally hit the pillow. 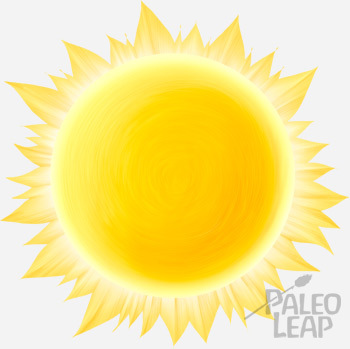 Paleo lifestyle changes that affect circadian rhythms include things like like avoiding blue light at night, reducing your overall stress load, or timing your meals to avoid eating a huge amount of calories late in the evening. But there’s another way that diet and lifestyle can affect circadian rhythms: through your gut flora. Your collection of gut flora (also called the gut microbiome or microbiota) affect just about everything from your immune health to your mood, and it’s well-known that they also affect body weight. And new research has shown that they have one more important role: gut flora can affect circadian metabolic rhythms via gene expression in the liver. In this study, researchers looked at two groups of mice. Some mice were completely “germ-free:” they had no bacteria in their gut at all. Other mice got to keep their normal gut flora. The researchers found that mice with normal gut flora had a natural rhythm in their flora over the course of the day (this had also been shown in a previous study). By looking at the by-products of gut flora fermentation, they determined that the numbers and activities of different species actually changed on a 24-hour cycle. This affected circadian gene expression in the liver. On the other hand, the germ-free mice had completely disrupted gut flora rhythms that didn’t look anything like the normal-mouse rhythms, and their circadian gene expression was changed to match. Even more interesting, the researchers could modify the circadian gut flora rhythms with food. In each group of mice (germ-free and normal-flora), some of the mice got a junk food-type diet that tends to be fattening (high-fat and high-carb, low-protein, low-fiber – basically the McDonald’s of mouse food) while some of the mice got a normal mouse diet that mimics what they would naturally eat. On the fattening, junk-food diet, the poor mice showed dramatic changes to their circadian gut rhythms, with corresponding changes in circadian gene expression. Preview: Changes in diet -> changes in the circadian rhythms of the gut flora -> changes in circadian gene expression in the liver -> changes in weight. But wait, there’s more! The changes in diet didn’t just affect the animals’ circadian gene expression. Changes in the circadian rhythms of the gut flora affected gene expression in a way that rebounded on body weight. The germ-free mice had completely disrupted circadian rhythms, but stayed thin, because their gene expression was altered in a way that made them hypermetabolic (they burned more calories than normal). The normal mice fed a normal mouse diet had normal circadian function and stayed thin. But the normal mice fed a fattening diet had disrupted circadian rhythms and got fat, because their gene expression was altered in a way that made them hypometabolic (they burned fewer calories than usual). How Is This Applicable to Humans? If you’re reading this, you’re not a mouse in a lab. So is this actually applicable to human beings? We already know that circadian rhythms affect gut flora in humans – sleep deprivation really messes them up. But the point in this study is that it works both ways: circadian rhythms regulate gut flora, and gut flora also regulate circadian rhythms. We know that humans have a very powerful gut-brain axis, and that modifying gut flora in humans can affect mood and behavior. We know that many of the diseases affected by the gut flora, like depression, have a circadian component. So it seems at least reasonable that it could work the same way in humans. One really interesting follow-up question that the study didn’t explore is whether circadian changes in gut flora could affect sleep quality. If gut flora affect circadian rhythms this strongly, could insomnia really be a gut problem? Of course, we already knew that gut flora can affect weight in humans. That’s well established, even though nobody’s quite sure yet what all the differences are between healthy and obese gut flora. The obvious explanation for this is that gut flora are responsible for absorbing nutrients, so they can affect how many calories of your food you absorb, and how many you eliminate. This study offers a new explanation that works through circadian rhythms rather than nutrient absorption. It’s true that in humans, circadian rhythms affect eating behavior – when you feel hungry, when you feel full, and your metabolic rate. So it also seems reasonable that if gut flora can change our circadian clocks, that could also have rebound effects on metabolism and ultimately on weight. This study is really interesting because it highlights the way everything is related. The problem with the modern world is that there is no one problem. Did changes in gut flora damage our circadian rhythms and cause obesity which caused sleep apnea which caused poor sleep, or did changes in light exposure (bright light at night) throw off our circadian rhythms and make us sleep poorly, which caused changes in the gut flora? Or (more likely) was all of that happening at once? It’s a giant tangled mess of cause and effect. If you want to sleep well, take care of your gut. If you want a healthy gut, take care of your sleep. If you want a healthy weight, take care of your gut and your sleep, because damage to one can damage the other. And whether you’re a mouse or a human, avoiding a fattening junk-food diet (high in both carbs and fat, low in protein, low in fiber) is probably a good idea for accomplishing all of the above!